In this episode of the Talking Sound Podcast host Christopher Jordan we pay a visit to the new HOFT Institute Game Lab in Austin, TX to talk with C.O.O. Amrin Malik as well as Associate Professor, Mayet Andreassen to discuss the history of the long history of the HOFT Institute in the world of education and tutoring and how they came to the concept of writing a curriculum for people who want to enter the digital gaming industry. What are the benefits of a post-graduate program such as the Game ... See More Lab at the HOFT Institute? After attending a school and attaining a degree in the field of game design, do you actually have all the skills necessary to succeed in the harsh real world of a gaming company? What are some of the concepts and skills learned in a curriculum such as this? When should someone considering a career in game design begin down the path? How does networking with others in a field play into not only opening the door for interviews, but ultimately landing that job your looking for? 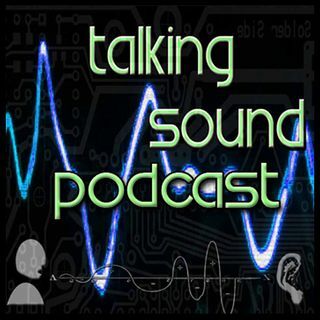 These questions and more answered in this informative and educational episode of the Talking Sound Podcast with special guests C.O.O. Amrin Malik as well as Associate Professor, Mayet Andreassen of the Game Lab at the HOFT Institute in Austin, TX. The Talking Sound Podcast is a proud member of the HC Universal Network family of podcasts. Download the official app for the HC Universal Network family of podcasts available for Android and coming soon for iDevices to get all the great stuff from the Talking Sound Podcast and More!